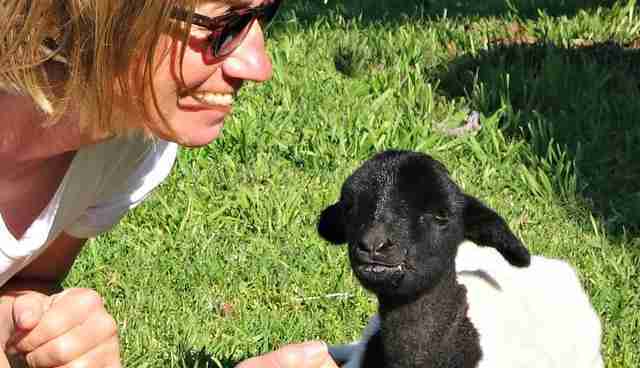 When the lamb arrived at the sanctuary, he was so tiny and scrawny, you could pick him up in one hand. He weighed a little over 5 pounds, and his long black ears hung low against his head. Felipe was born in late September on a farm in New South Wales, Australia. His mother was young, and for whatever reason, she rejected him at birth. Felipe spent the first 12 hours of his life alone - no mother and no milk. The farmer brought Felipe to Where Pigs Fly, an animal sanctuary in Wollombi, Australia, and asked if they could help. "He was very listless," Debbie Pearce, founder of Where Pigs Fly, told The Dodo. "Weak, sick and disorientated. He couldn't stand or suckle. His temperature was precariously high." Since Felipe's mother rejected him, the little lamb hadn't gotten any colostrum - a special milk filled with antibodies that helps protect the newborn against disease. "Felipe's immune system was very much compromised due to his hard start in life," said Pearce. "He had ascending paralysis caused by botulism toxin. It can be fatal. He was very ill and at times we didn't think he'd make it, but even when absolutely rock bottom, we could see he was trying desperately to survive. 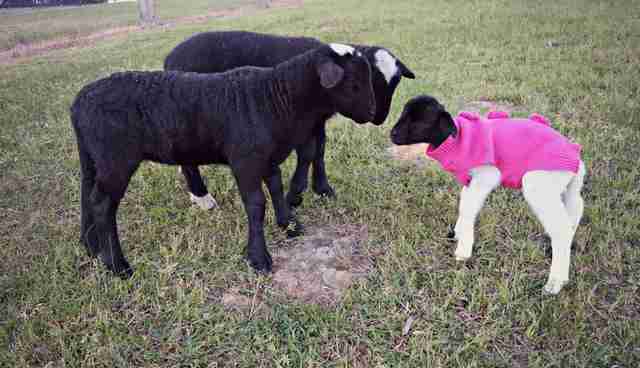 He is one very determined little lamb." 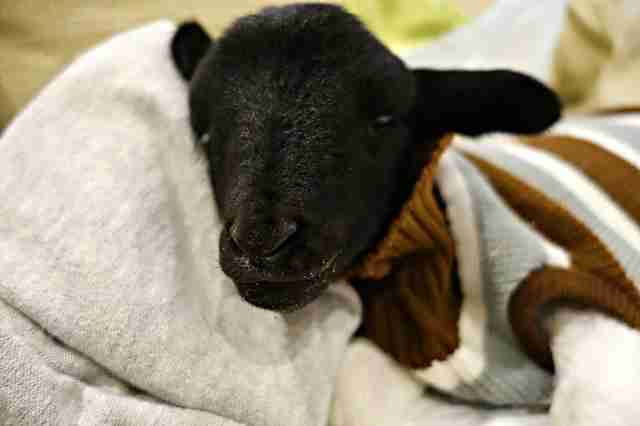 Pearce bottle-fed the baby lamb every two hours, and gave him colostrum replacement and daily antibiotic injections. She also took him to Somersby Animal Hospital for regular monitoring. When Felipe took his first steps, Pearce knew he was getting better. She could also tell by the way his ears perked up. "His ears are very endearing," said Pearce. "They sit out at right angles. 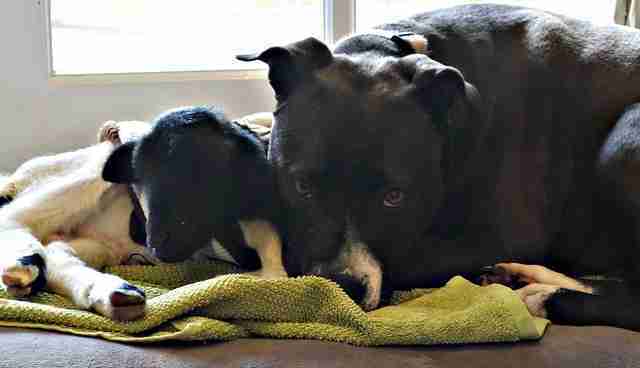 When he was sick they just hung low but now they have a life of their very own." "I love his tenacity, his fighting spirit and his love of life," said Pearce. "He is curious about his world." Now Felipe's favorite activities include napping, snuggling and crashing on any dog bed, whether it's occupied or not. He also likes to listen for Pearce's footsteps in the morning and greet her with a welcoming, high-pitched baa. "Felipe is hard not to love," said Pearce. 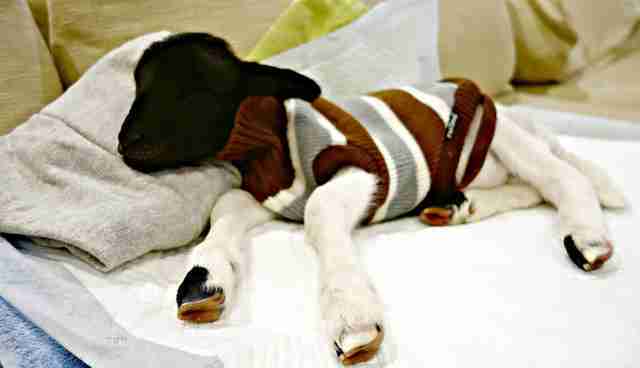 "He is vulnerable and defenceless and adorable. I believe other animals sense this and many have reacted to his plight with care and kindness. 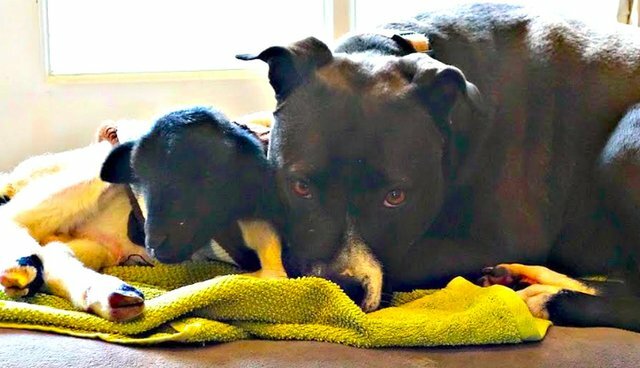 Felipe is no doubt missing his mother and the safe and secure bonds he has developed with his new friends - our dogs, for instance, are clearly very comforting for him and the animals enjoy nurturing him. I look forward to watching him grow, make new friends and love sanctuary life - free from harm and suffering." 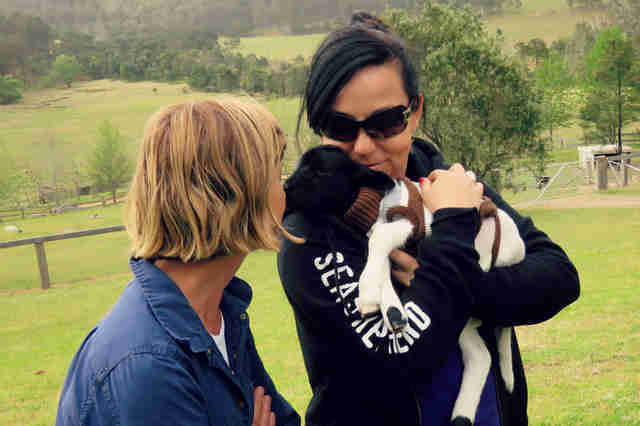 Where Pigs Fly is an animal sanctuary in New South Wales, Australia, with 100 acres of open pasture for rescued farm animals. 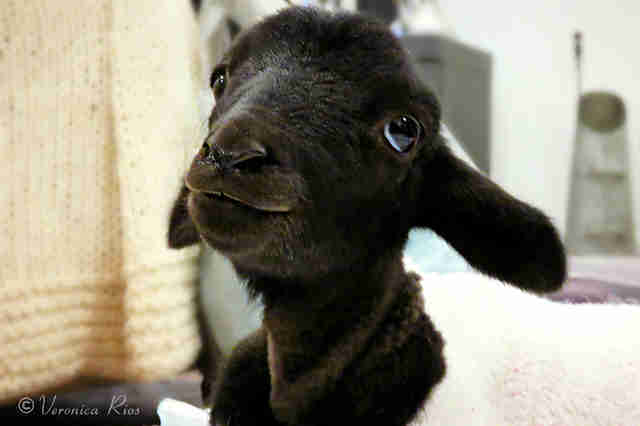 To help lambs like Felipe, you can donate here.